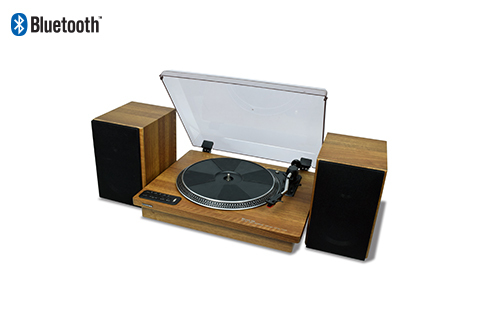 Enjoy listening to your favorite vinyl records in vintage style with the Toshiba® TY-LP200 12" Bluetooth Turntable with Stereo Bookshelf Speakers. 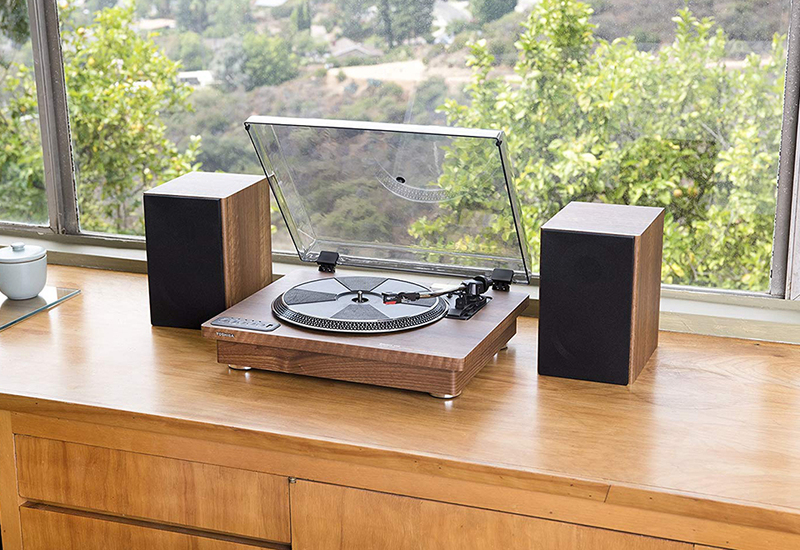 This belt-driven turntable seamlessly converts your records into digital audio files and features impressive 2-way matching dual stereo speakers with 1" dome tweeters and 4" bass subwoofers. And, in case you’re feeling a bit more modern, it also allows for easy music streaming via Bluetooth enabled devices. Receive a 20% Cash Back coupon and Free Shipping on all Toshiba purchases! Enjoy the sounds of classic vinyl on the modern Toshiba® TY-LP200 12" Bluetooth Turntable with Stereo Bookshelf Speakers.